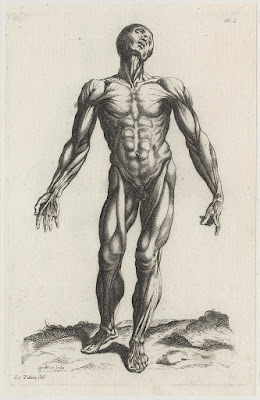 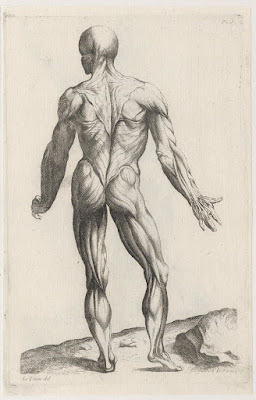 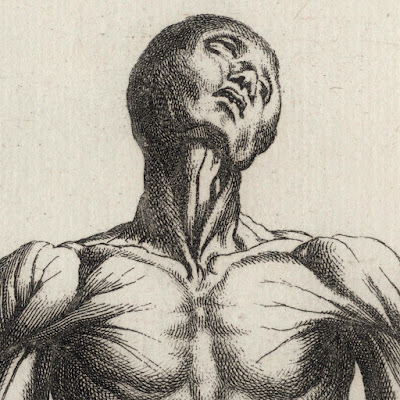 Anatomical studies after Titian (aka Tiziano Vecellio) (c1485/90?–1576) (as inscribed on the plate) and after the designs by Andreas Vesalius (1514–1564) in “De humani corporis fabrica libri septem” (“On the fabric of the human body in seven books”), 1543 (see https://en.wikipedia.org/wiki/File:De_humani_corporis_fabrica_(27).jpg and https://en.wikipedia.org/wiki/File:Vesalius_Fabrica_p194.jpg). 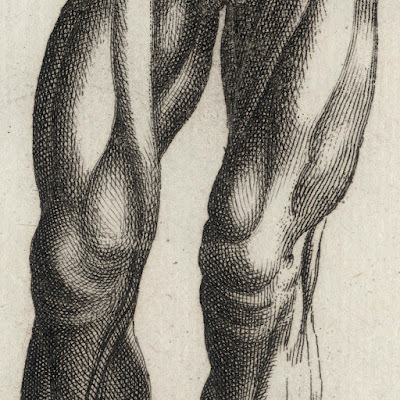 See also a very brief catalogue entry of these engravings in Abraham Hume’s (1829), “Notices of the Life and Works of Titian”. (Descriptive Catalogue of Engravings after the works of Titian, from the Bibliothèque du Roi. 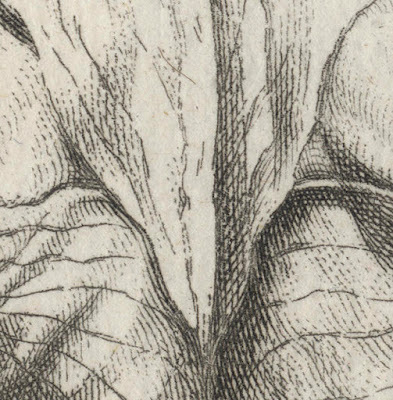 ), p. Iv). 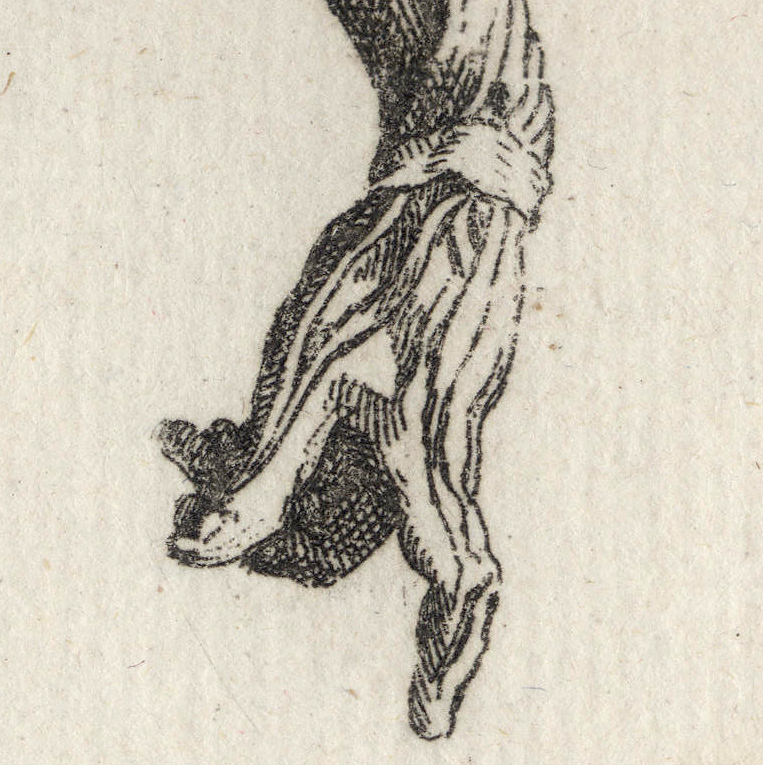 Engravings on fine laid paper mounted together on a support sheet. Condition: well-printed impressions with light abrasions trimmed with small margins and laid together upon a support sheet of archival (millennium quality) washi paper. 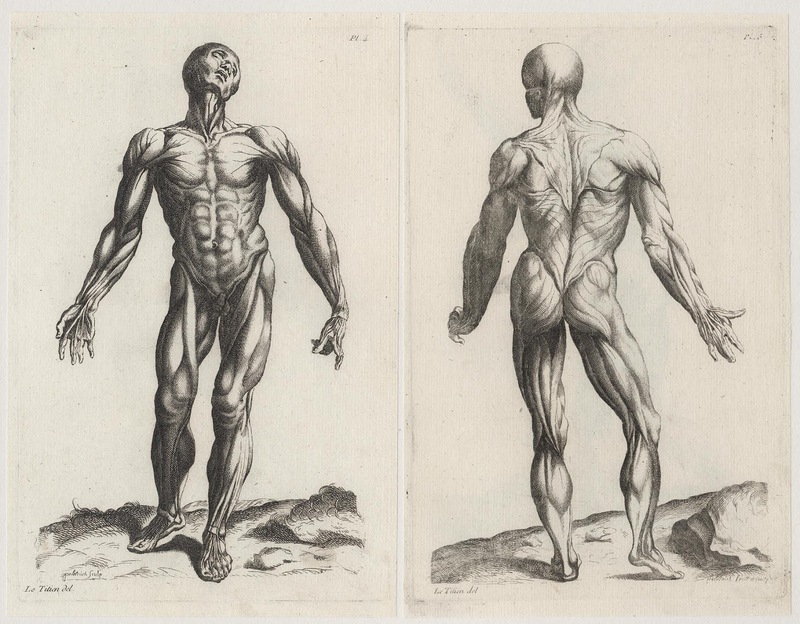 I am selling this pair of early anatomical studies for the combined total cost of AU$320 (currently US$234.64/EUR205.38/GBP182.95 at the time of this listing) including postage and handling to anywhere in the world (but not, of course, any import duties/taxes imposed by some countries). 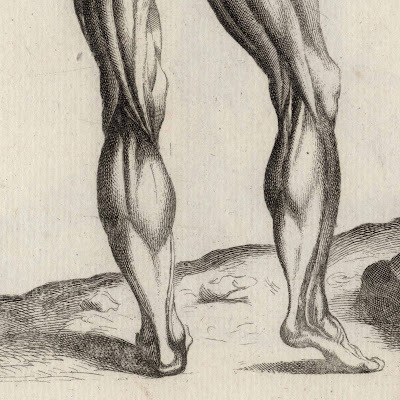 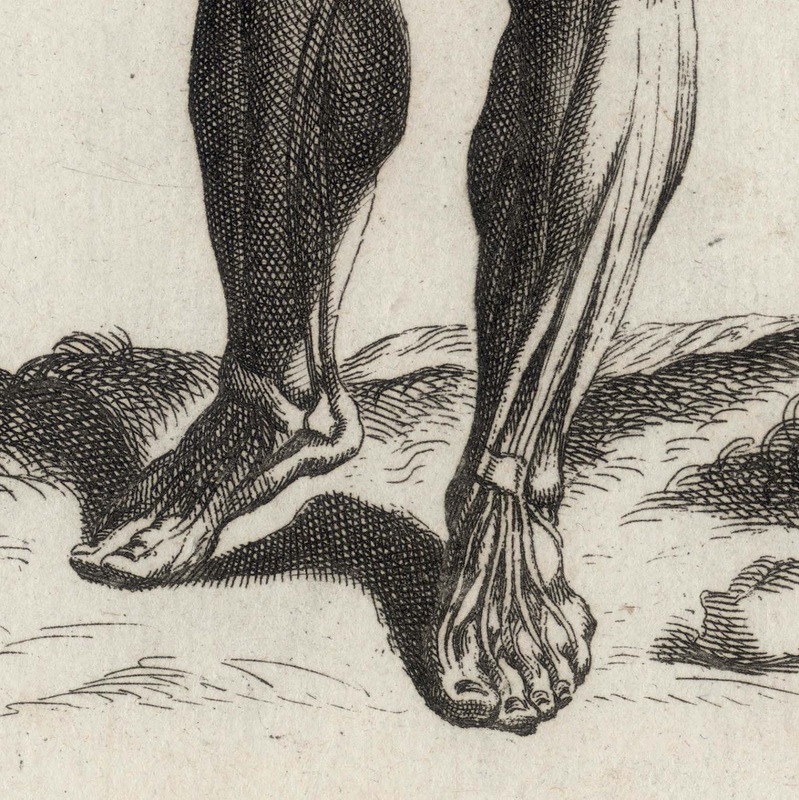 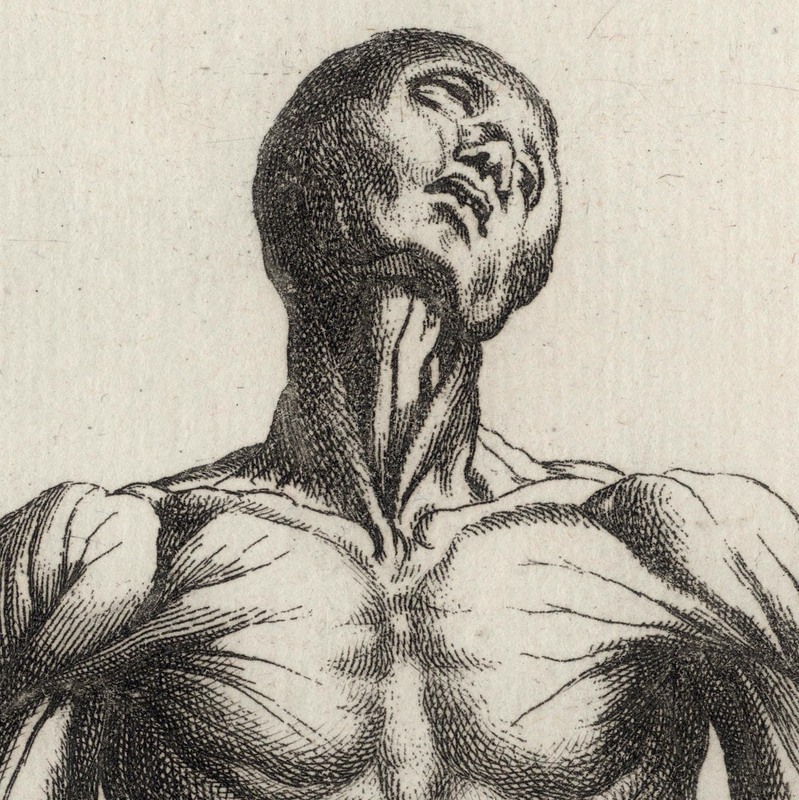 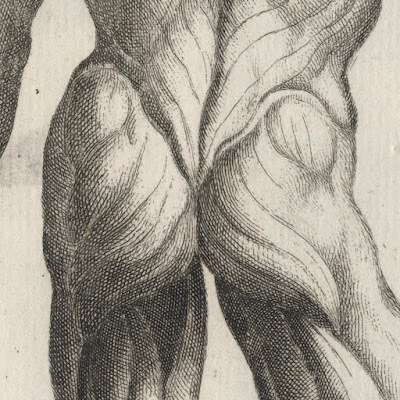 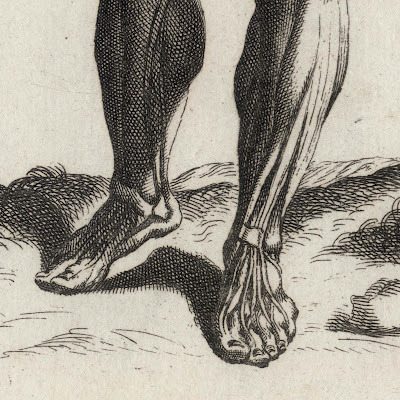 If you are interested in these marvellously detailed 18th century engravings of a figure’s musculature, please contact me (oz_jim@printsandprinciples.com) and I will send you a PayPal invoice to make the payment easy.